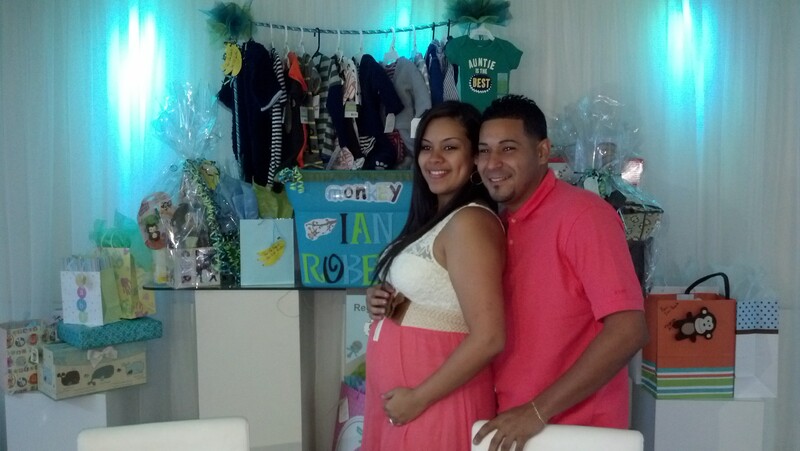 I was visiting my sister in Puerto Rico and celebrating her daughter Ashly’s baby shower. 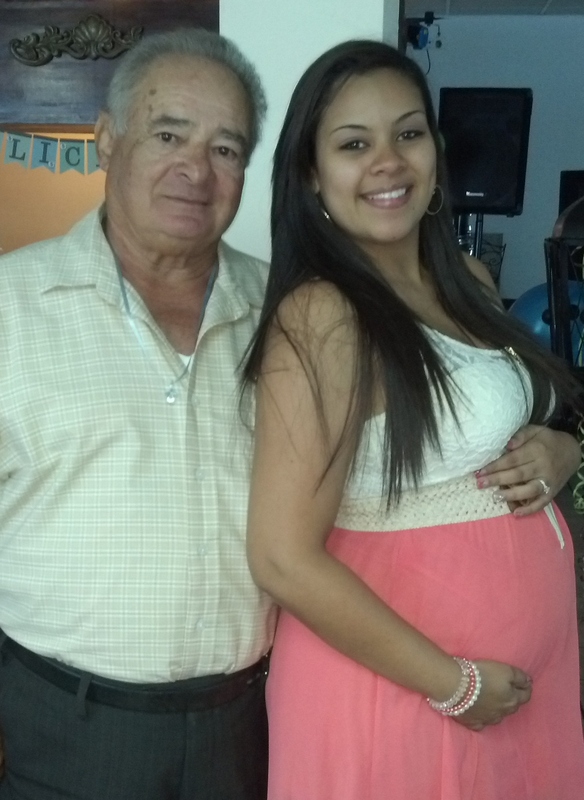 As Hispanics and Puerto Ricans we celebrate everything big! I made a few favors and decorations using My Digital Studio and my niece’s sister in-law made some awesome displays for the table centerpiece and the gift table. 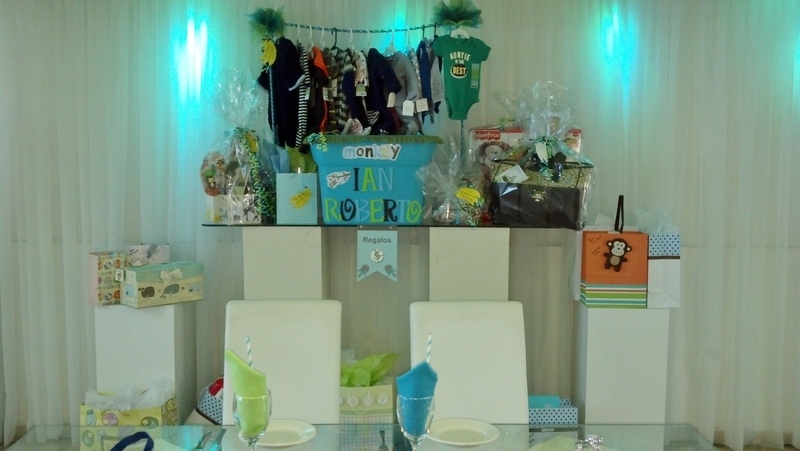 This was my baby shower gift, 13 Onesies! I designed it on “My Digital Studio” and printed them on iron-on transfer paper. The first one says Just Born in Spanish “Recien Nacido” and the baby’s name. The next 12 have months 1 – 12 on them. An easy way to document each month with a picture! 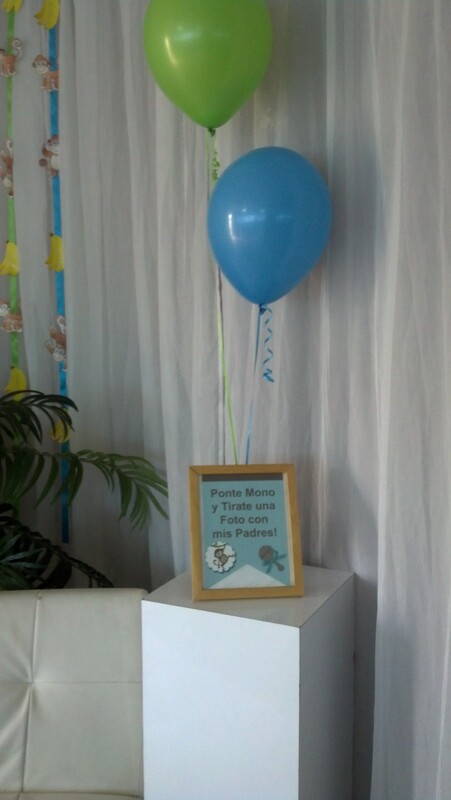 The baby shower took place in an event hall (I did mention that we celebrate in a big way) this sign was hung in the entrance. I made a scrapbook where guest signed in upon entering and could also write some advice for the new parents. 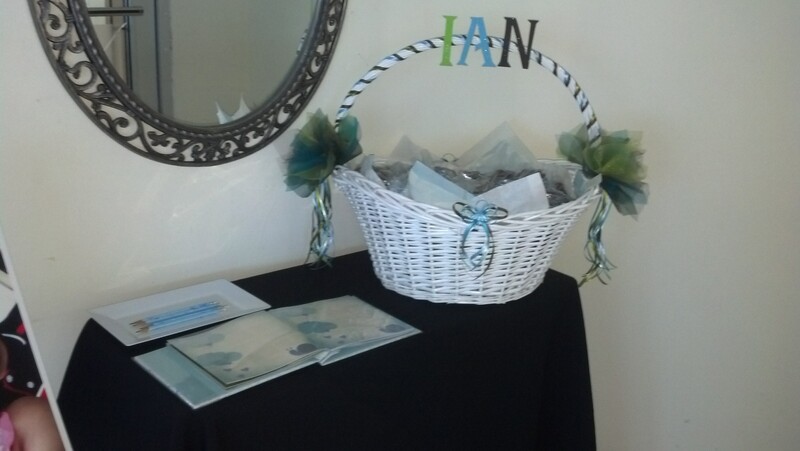 My niece’s sister-in-law made this beautiful display with a few of the gifts. Wow! 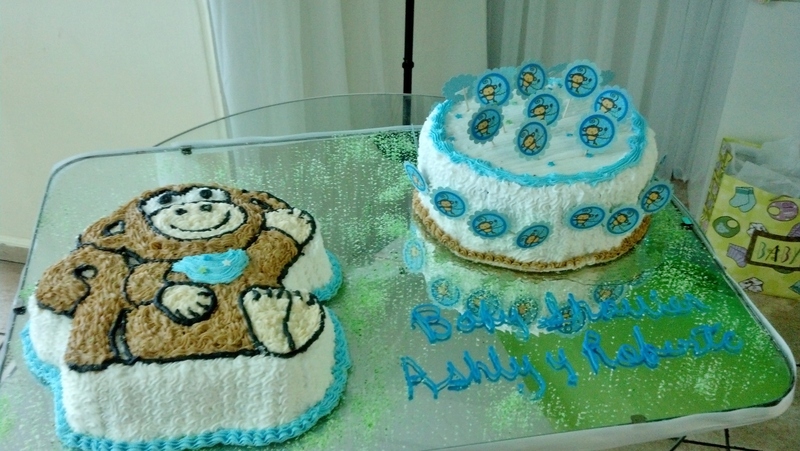 The cakes with a few Monkey tags I made. 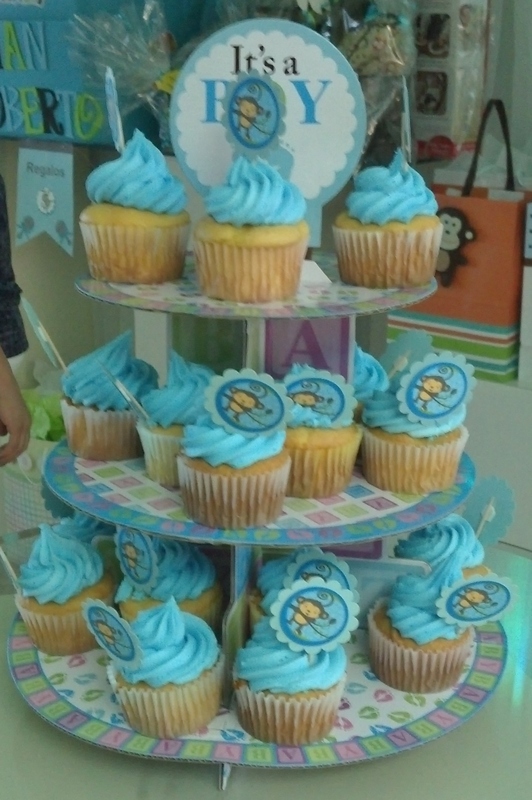 Cupcakes with more monkey tags. 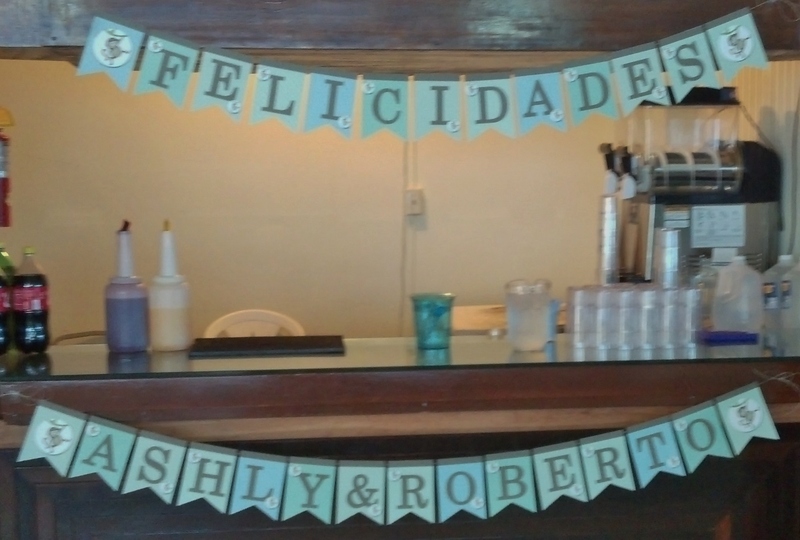 The congratulations sign was also made with My Digital Studio, it was so easy! This cute sign says Let’s monkey around and take a photo with my parents, in Spanish of course! 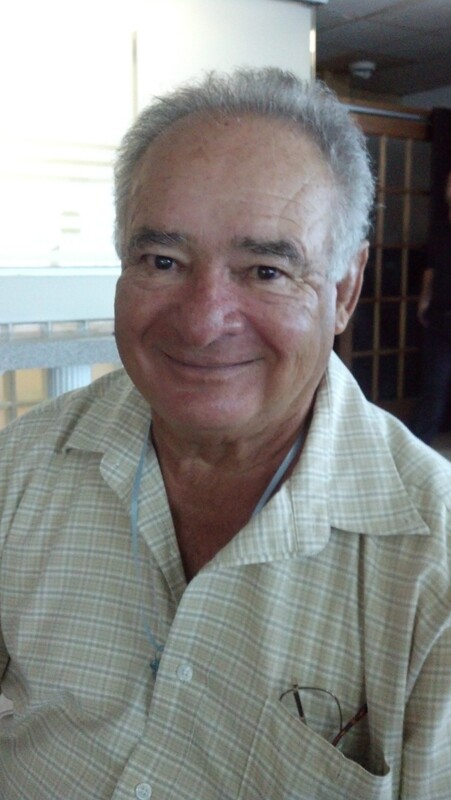 While in Puerto Rico I was able to visit with my father, he was happy to be celebrating the future arrival of another great-grandchild! 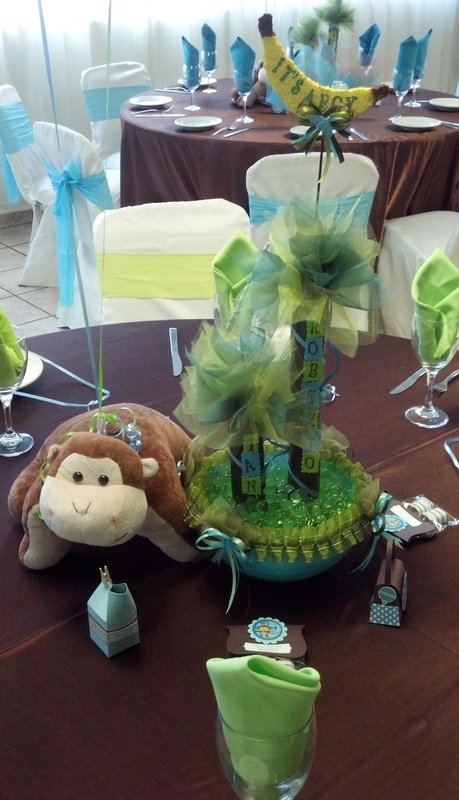 Here is one of the table centerpieces in green. 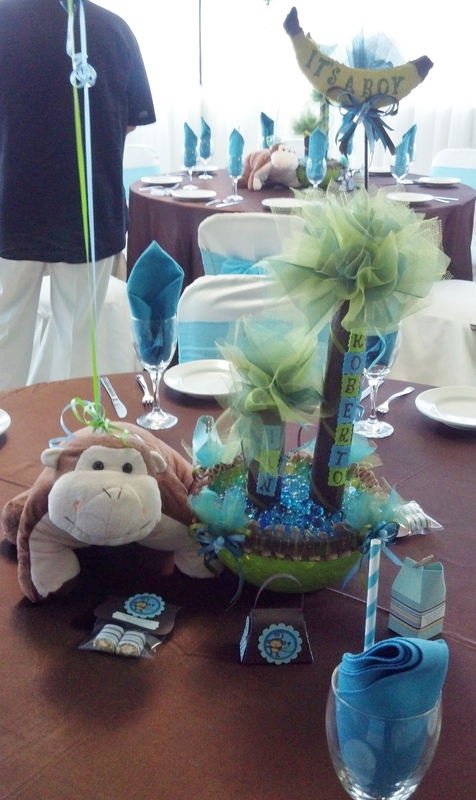 The other table centerpiece in blue. 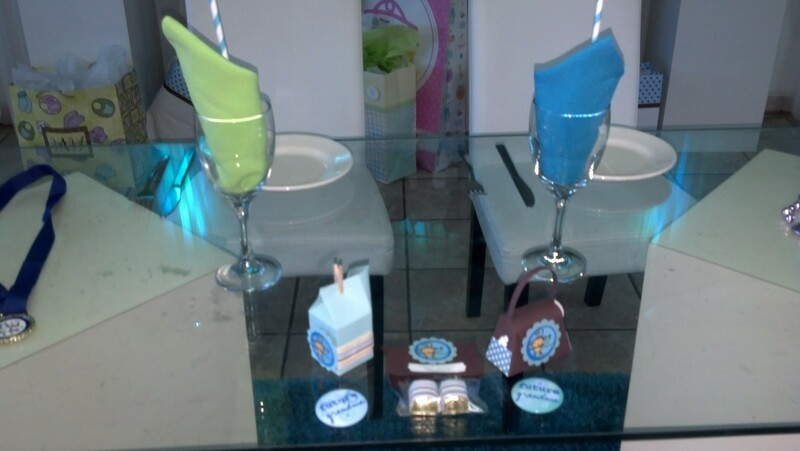 Here are a few of the favors I made. 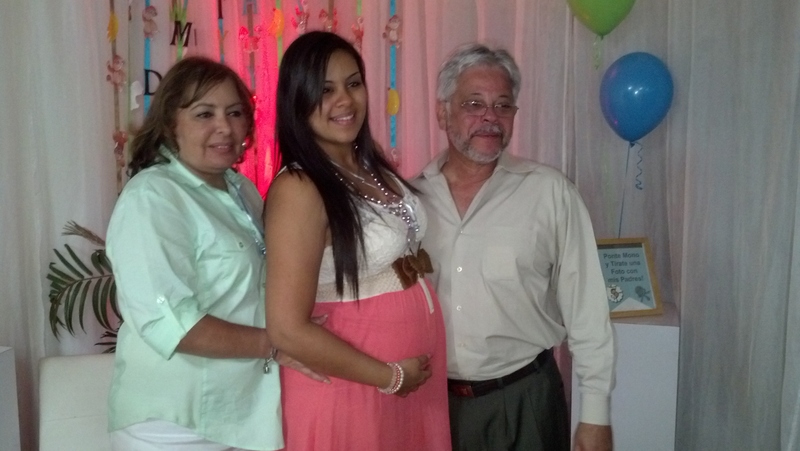 My sister, niece and my brother-in-law. What a beautiful shower!! I loved what you made with mds. Thanks Patti! 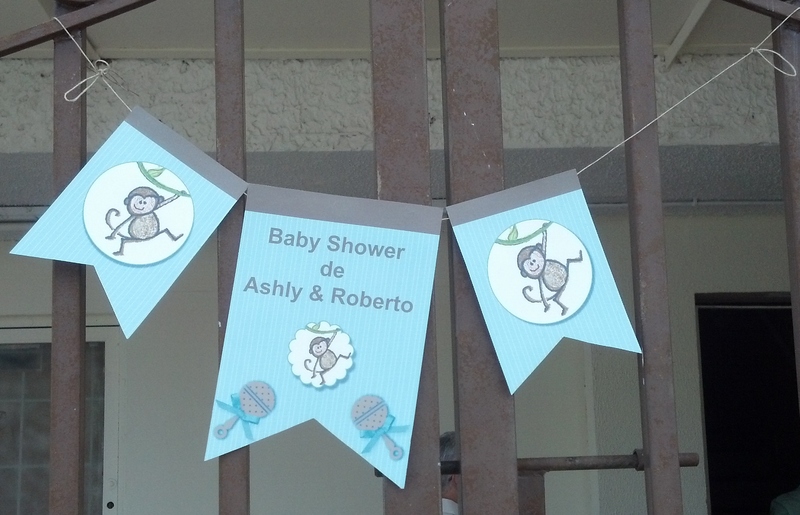 It was fairly easy to make the banners and signs, you know how I love to work with My Digital Studio! I’ve enjoyed your work for years. Seeing new creation on this site was delightful. I personally know how much you enjoy what you do, so keep up the good work in making others happy too!!! Thanks Lila, I’m glad you enjoy it!